Playful, romantic and endearing, our lover’s eye layering charm necklace is a fanciful way of saying, "I only have eyes for you." Double sided, the lash outlined eye seems to wink capriciously at everyone you meet. 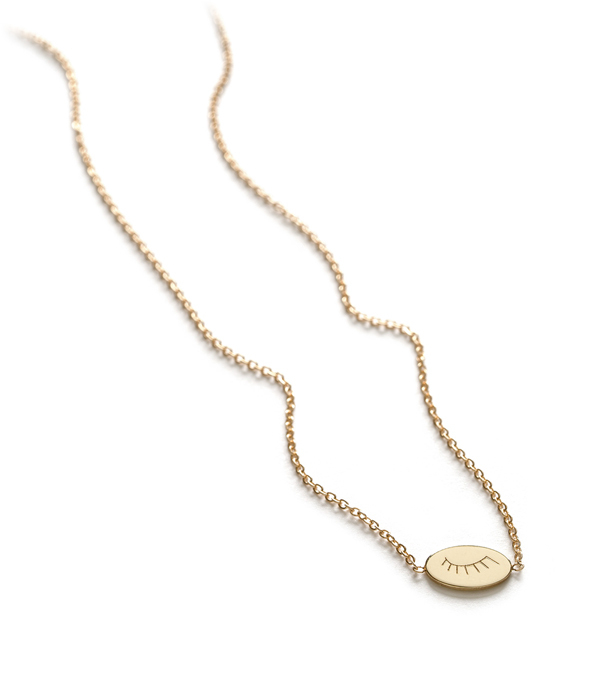 The perfect gift for a best friend, new love or favorite hostess, this petite gold necklace is sure to charm! 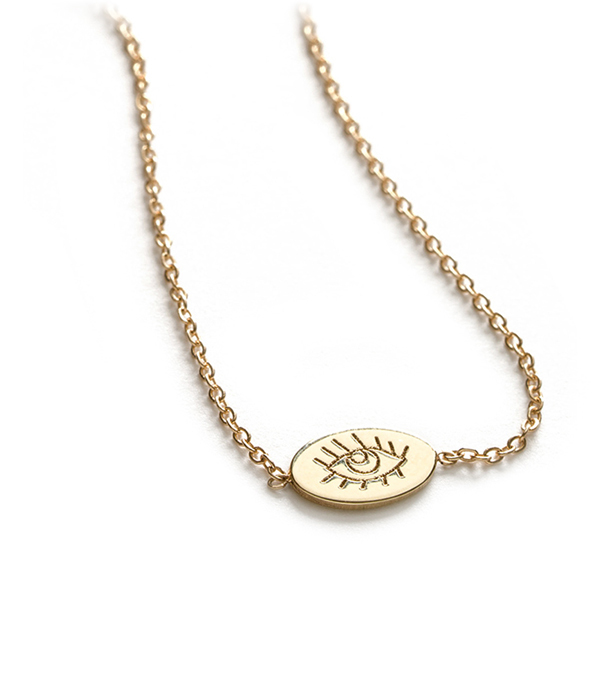 We think this winking eye necklace makes a whimsical everyday piece that is easy to pair with your other favorite Sofia Kaman talisman necklaces and adds a bit of sparkle to your daily coffee run. If you are feeling mischievous, layer multiple talisman necklaces to create a secret message that only you and your love will understand. 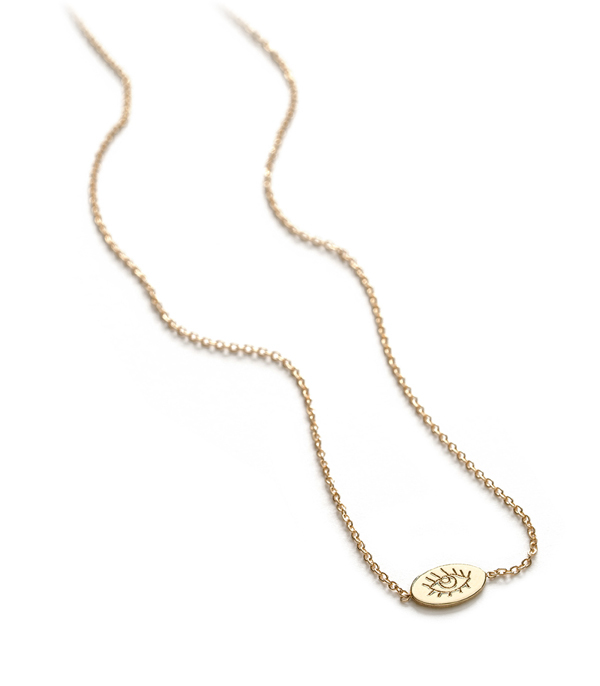 This delightful 14K gold layering necklace features a 18 inch chain, and is hand made by our artisan jewelers in Los Angeles. Categories: Charming, Necklaces, Sofia's Favorites, Under 500.